Road trip in the beautiful region of Moray and you’ll discover beautiful beaches, pretty towns, medieval fortresses and much, much more. I’ll confess – I’ve mislead you with the title of this post. You see Moray doesn’t rhyme with foray but I wasn’t about to let that get in the way of poetic licence. It’s pronounced Murray as in Andy, anyway I digress. I’ve been on the road again with Mr G, The Teen and the Wee White Dug, this time for a short break to Mr G’s Highland home town of Nairn. Home for the weekend was a roomy family suite at The Golf View Hotel & Spa, a place close to our hearts as it’s where we got married one gloriously sunny day back in the summer of 2009. Leaving Edinburgh at 1pm we headed north hoping to catch the last of the afternoon light at Clava Cairns and Culloden Moor. Our journey was peppered with Mr G’s customary moans about people driving under the speed limit, road works with no-one working at them and average speed cameras! Thankfully we made it to Clava Cairns with daylight to spare – yippee. Clava Cairns, a Bronze Age burial site is an old favourite of mine. It consists of several stone circles and chambered cairns. It’s mind blowing to think that it’s still standing after 4,000 years. Although we made it in time to catch the light it wasn’t the magical Highland light I’d been hoping for. We stopped off at Culloden Moor next. This is where the Battle of Culloden was fought on 16 April 1746. Despite it being late afternoon and the end of October it was busy – the Outlander effect is definitely apparent around Scotland these days. We wandered on the moor quietly contemplating. 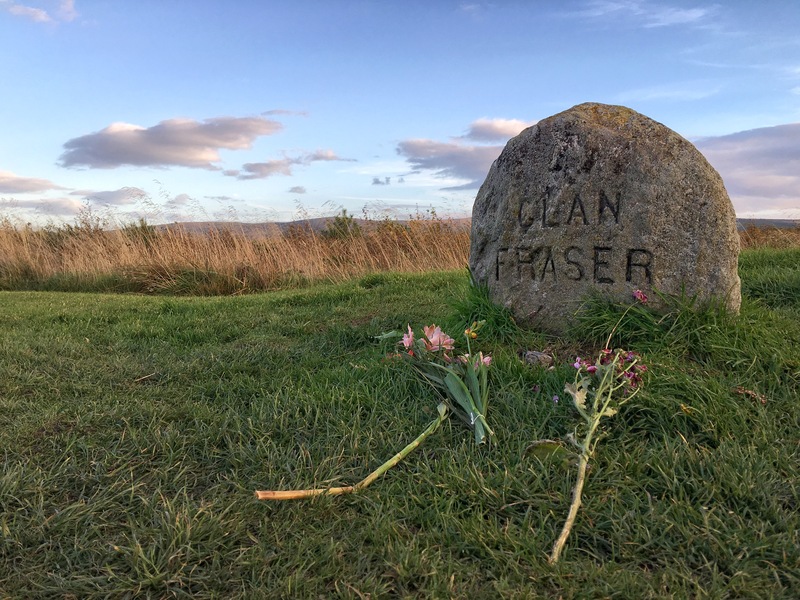 Culloden is a place which us Scots find deeply moving. A real sense of sadness seems to linger on, but it’s beautiful too. As the sun began to set the grasses and heather on the moor turned golden, creating a serene and peaceful atmosphere in the place forever associated with sorrow and bloodshed. This was exactly the magical Highland light I’d been looking for – it was absolutely stunning. That evening we enjoyed a relaxed dinner at the hotel brassiere – as ever the food was great and the service friendly and efficient. After dinner The Teen suffering from severe gadget withdrawal retreated to her room to Skype a friend and Mr G and I made for the bar to enjoy a nightcap or two. Keen to further develop my new-found appreciation of Scotch Whisky I ordered a Jura Superstition. I liked it – a mix of rich spices and classic Jura peat. I finished the evening with a Bunnahabhain and Mr G, nose out of joint as he still hasn’t got over his whisky fear decided to brave it and try a Jura. He declared it to be the first whisky he didn’t hate and therefore decided that he had overcome the fear. He did quickly follow-up with a request not to buy him any whisky for Christmas, so I’m not so sure that the fear has been fully conquered quite yet. Next morning we grabbed breakfast on the hoof from a wee bakery in Forres, and began what was to be a long but wonderful day out exploring the lovely Moray region. First up was the coastal town of Portknockie to visit the spectacular Bow Fiddle Rock, one of the highlights of a visit to Moray. It’s such an amazing sight that it’s hard to tear yourself away from it. When we eventually did start heading back to the car cameras smoking from a snapping frenzy, we met a friendly cat who posed happily for photos. I reminded the stubborn and often uncooperative wee dug about how to conduct oneself professionally during a photo shoot, warning that I could quite easily phase him out for a feline travelling companion instead. The coastal town of Lossiemouth in Moray was next on our list. We enjoyed a wander on the lovely East Beach, a long, narrow pinnacle of sand reached by a footbridge. If you ever visit head uphill into town to enjoy a bird’s eye view of the beach as it looks amazing from above. As the weather was unseasonably warm for the time of year we made the most of it and had lunch outside on the terrace at the wonderful Guidi’s. Mr G went into raptures about his smoked salmon and scrambled eggs, confirming it ranked comfortably in his top 3 favourites. My bruschetta was really good but I didn’t bother to rank it against all of the other bruschetta dishes I’ve ever eaten! After lossiemouth we drove to Covesea to snap the Covesea Skerries Lighthouse and have a wee post lunch walk on the beach there. The Teen decided that more fresh air and exercise would be way too much for her so she stayed in the car to catch up on some idle loafing. I do love a good lighthouse and this one, a converted holiday let was no exception. I promptly added it to my humongous big list of places I need to stay. After snapping the lighthouse and a play on the beach with the wee dug we went off in search of some colourful beach huts. Hopeman along the coast was our destination. We found them but the glorious blue sky of earlier was gone so we didn’t get to enjoy them in the best light. Hopeman is a pretty little beach town despite the fact that it has a resident sea witch known as the Grin Iron Wife. She lurks on rocks in the bay waiting for children to venture too far into the sea and then she strikes. Beside the beach you’ll find a stone inscribed with a warning to parents to keep a close eye on their children at this local beauty spot. Leaving Hopeman bound for Elgin the small village of Duffus rang a bell with me as we passed through it, but why? Mr G probably against his better judgement reminded me – wasn’t there a castle here that you wanted to see and he was right, I did Duffus Castle. Elgin could wait. Duffus Castle is an impressive medieval ruin which was once a stronghold of the Moray family. The current stone castle which sits on the site of an earlier castle dates to the 13th century. After falling into a state of disrepair it was finally abandoned in 1705. My favourite part of the castle was a giant chunk of fallen masonry with an intact latrine, corridor and window still inside. It’s really disorientating stepping into it. The boy met a lovely wee dog even smaller than him – he loves when that happens. She bombed around him excitedly, batting her eyelids and rolling over in an admiring swoon. He was in his element and said that he often had this effect on the ladies. Castle exploring done for the day we headed to Elgin to visit some more medieval ruins. Not a castle this time but Elgin Cathedral a jaw dropping, impressive ruin. It contains some of the finest medieval graves, statues and carvings I’ve seen on my travels around Scotland. Mr G loved it too – I thought I’d misheard him at first. My Husband stating his love for a broken old pile of stones? Surely not?! The cathedral which dates back to the 13th century was badly damaged by fire in 1390 after it was attacked by the notorious ‘Wolf of Badenoch’ local bad boy and brother of King Robert III. After admiring the graves and stone carvings and against my better judgement I wound my way up a claustrophobic and narrow turnpike staircase towards a viewing platform on top of one of the two cathedral towers. The higher I went the more I panicked. Near the top I had to fight my way through a heavy chain curtain blocking the way (there to prevent birds from getting inside the tower). By the time I reached the roof I was up to high doh and in no fit state to enjoy the view of Elgin below. I hurried back down to ground level as fast as my shaky legs would carry me, cursing my nosiness and need to always explore every last nook and cranny. You might think that this would surely be more than enough history for one day but you’d be wrong. There was still time for one final flying visit. Sueno’s Stone in Forres is a Pictish stone dating to the 9th or 10th century which is over 6.5 meters tall. It’s intricately carved and is one of Scotland’s most impressive Pictish stones. One side depicts a carved cross and the other scenes of battle. Its original purpose is now lost in time – was it erected to celebrate a victory in battle, mark the grave of someone important or as a ceremonial meeting place? – we’ll never know. Later back in Nairn we caught the sun setting on the beach then enjoyed chips and red pudding for dinner – simple pleasures and what’s not to love about beef, bacon and pork being fashioned into a red coloured, sausage shape then deep-fried. Ah Scotland, forever the trail-blazer when it comes to concocting tasty treats out of weird blended meats! Next morning there was just enough time for a trip to Ardersier to visit the impressive Fort George before we heading home. Our trip which began on the Battlefield at Culloden where the Jacobite dream died on 16 April 1746 ended at Fort George – a mighty fortress built in the wake of the battle to station Government troops who would be able to quickly and effectively quell any further attempts to rebel in the Highlands. En route home we grabbed a tasty takeaway lunch from The Old Bakery in Carrbridge – I won the battle of the soups that day with an awesome French onion soup complete with melted cheese croutons and since we were in Carrbridge we snapped the picturesque Old Packhorse Bridge there for the umpteenth time – it was worth it though as it looked wonderful surrounded by a riot of autumnal leaves and berries. 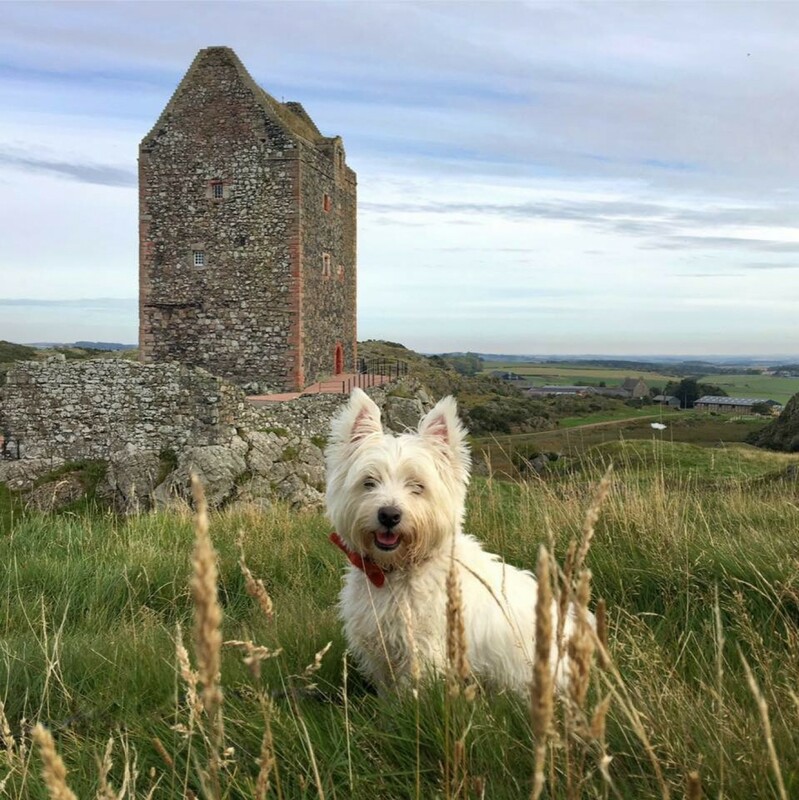 Landscape so beautiful it breaks your heart, a cute wee dug and whisky – what’s not to like! This itinerary is going in the to-do list! Two comments: I echo the sentiments of Mr. G. in that I find road works with restricted speed limits and not a worker anywhere in sight is annoying – and Average Speed Cameras on the major highways – at least here in South Australia are a waste of time. Just stop and spend a bit of time taking photographs and you are well within “Average Speed” The Freeway is a different matter and you cannot stop – unless you have a major problem. Before we left Scotland to come to Australia we bought a rail pass and took the children all over the country – basically from Sweetheart Abbey to Dornoch Cathedral – via Melrose, Rosslyn Chapel and St. Giles. We stayed in Inverness and made that a base for traveling around – including Culloden and Elgin Cathedral. These were the days when Super 8 Cameras were all the go, so I have no photographs but I have hours of Super 8 Movies. One of these find days I will get them transferred to DVD. We also visited Killiecrankie and Dunfermline Abbey and Palace. I still remember the Peacocks at Pittencrieff Park. Your photographs brought back many memories. One day……………..
Aww so glad to have reawakened happy memories. What a great idea for a trip. Sounds like you packed loads in. I bet you’ve captured some great moments on film. You make me want to visit more and more! The Battle of Culloden! We did this just 3 years ago in history. You are making it come even more alive for us seeing the site. Some gorgeous shots of your wee dug. I particularly love the one of him in blue bow tie between the rocks. Thank you – it’s a lovely part of the country. So much to see and do. Fantabulous as usual! We live in Fortrose along the Moray Firth, so we need to make a round and visit these marvelous places. Thank you so much! Unfortunately we ran out of time to pay Fortrose a visit too but it’s on our list for our next trip up. Thanks as always for reading and for your kind comments.